Nicole Rinaldi El-Abd is a student from the University of California (UCSB) who is in the first group of students from UC participating in the Sustainability Program being run jointly by the UC Education Abroad Program and Lincoln University. 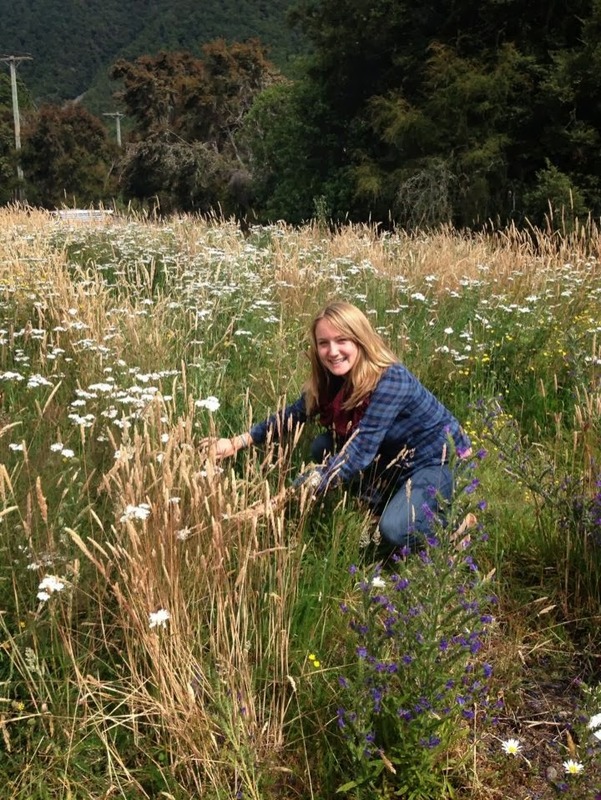 She took our Field Ecology course in January 2014 and these are her thoughts on that course. I’ll be honest, being an international student in ECOL 310, I didn’t really know what I had gotten myself into. I vaguely understood the concept of the class—to go out and do field work—but I didn’t really think about what that meant. If someone had told me that we would be designing, executing and communicating our own, independent field research project, I probably would have been too afraid to take this class. I would have thought I would be entirely unprepared for something like that. Boy, am I glad I did not read the course outline before signing up! This was the general feeling I had as we headed up to the Boyle River Valley in New Zealand’s Southern Alps (with a bunch of other students). I had only very vaguely been able to say what I wanted to work on “umm…something on invasive plant species, I think?” This was, honestly, just the first thing I could think of—a drastic attempt to keep my head above water. Coming from an environmental science background, invasive species are something that I had learned about fairly extensively and could apply to California as well. I now know that that general idea was all I needed to get started. From this idea, I was guided towards more specific projects that would be a good fit for my interest and were possible in the timeframe of the class. I never felt forced into doing anything in particular, but these gentle suggestions were welcome life rafts. They let me feel like I might not be so out of my depth after all. Soon enough, with the help of the lecturers (particularly Jon), I had a sampling design and plan of action for sampling weeds around the Boyle River Outdoor Recreation Center in a variety of habitats. Although I may not have known all the weeds by name when I started, I knew that I could ask for help with the identifications and before I knew it, I began to feel confident in my plant IDs. I think at this point, you could say things were going swimmingly. In under a fortnight, I had gone from feeling laughably unprepared for this course to feeling confident in my blossoming field work abilities. It wasn’t until I had, almost accidentally, written a 4,000 word scientific report about what I had done, a feat that would have sounded nearly impossible just a few days earlier, that I realized what a truly incredible opportunity ECOL 310 has been. I had never really been at risk for drowning because the lecturers had been there all along—my life guards, my swim instructors. They had been there to help me through each step of the process and gave me all the tools necessary to find my own way through my first field research experience. As far as I know, there is no course like this at my university for 30,000+ students back in California and I feel so lucky to have had the chance to take a course like this here at Lincoln. I now feel as though I would not be afraid to do field work in the future. My “someday it might be cool to do…” has now become my “I can’t wait to do…”.